My evil cold that’s been plaguing me for a few weeks now has flared up again, so I thought I’d post some happy pictures to cheer everyone up on this cold and grey day. I love making these little chaps. They are such happy mischiefous creatures, and they come in so many variations. All my trolls are made from pure wool, unless specifically requested otherwise. I have made vegan versions, but personally I always prefer natural fibers over artifical ones. Whenever I travel to a new place, my path always leads me to the yarn shops, farmers markets and little independent artists. I have recently taken up spinning myself and am saving up for a wheel of my own, there is so much to learn.. I have a passion for handcrafted things, and I love being in nature and working with what I find during my walks in the woodlands behind our house. 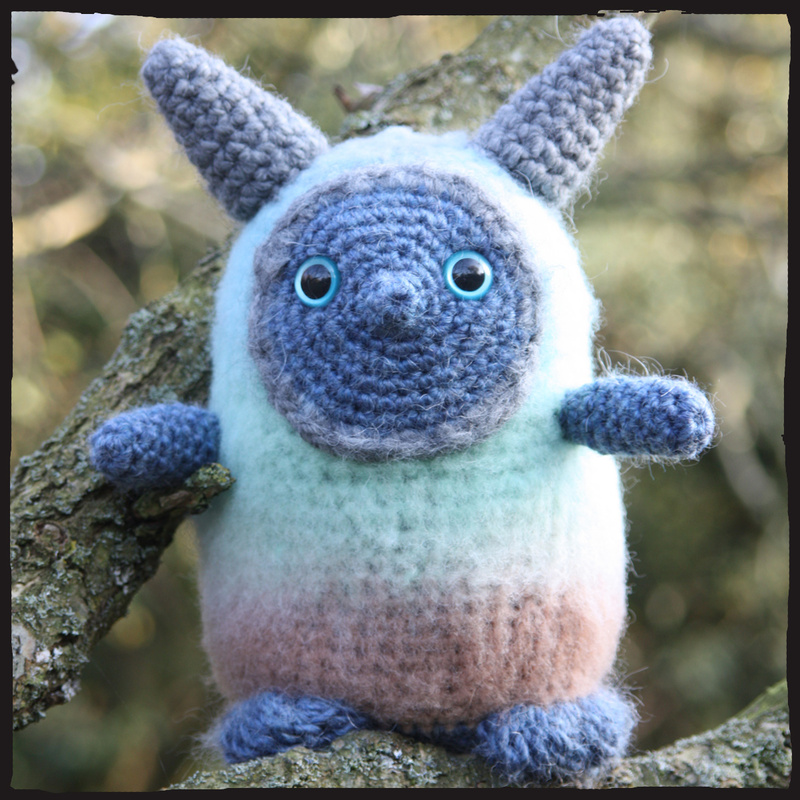 The yarn used for this troll is Rowan Colourscape Chunky, which has a lovely handspun look and check out how pretty the colours blend on this guy’s tummy.